I’ve just got the go ahead from a Canon spokesperson called April to to mention that there’s a new version of firmware coming for the EOS 5D Mark III that will enable a new 40MP resolution mode. The original specifications of the EOS 5D Mark III were to have more than 22MP, but feedback from many professionals indicated that 22MP was easily sufficient for all their work and so the specification was written as 22MP effective pixels in all the camera materials even though the hardware was actually much higher resolution. Now following the launch of the camera there are renewed requests for an EOS 5DX with many more pixels and so Canon has created firmware version 1.04 for the EOS 5D Mark III to address this need and fully leverage the hugely capable hardware platform. 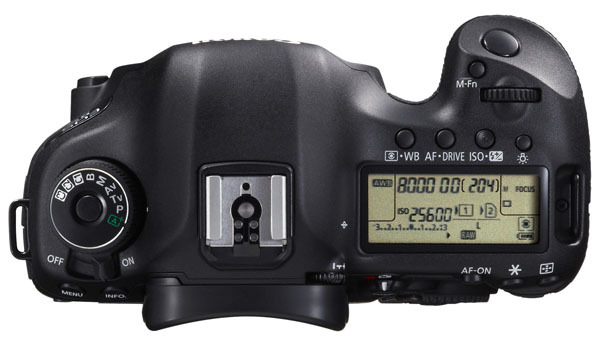 I also heard that the firmware was a joint development between Canon and Nikon and will be used on the new D800. Can you comment on this rumour Brian? Darrell, I can only report what I was told by April, she was my first point of contact on this and didn’t mention any other brands involvement! April? As in April Fools. Lol !